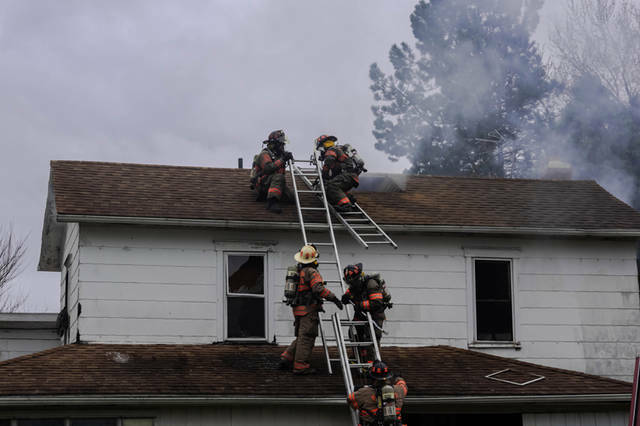 A 78-year-old Gettysburg man was able to escape his burning home safely thanks to help from his neighbor. 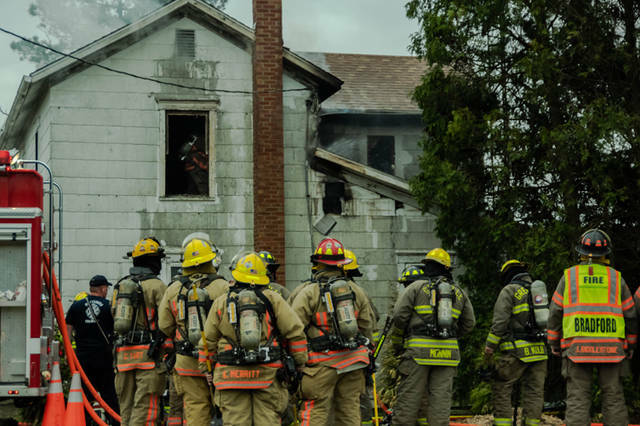 GETTYSBURG — A second alarm fire Sunday evening claimed the home of an elderly man on the outskirts of rural Gettysburg. 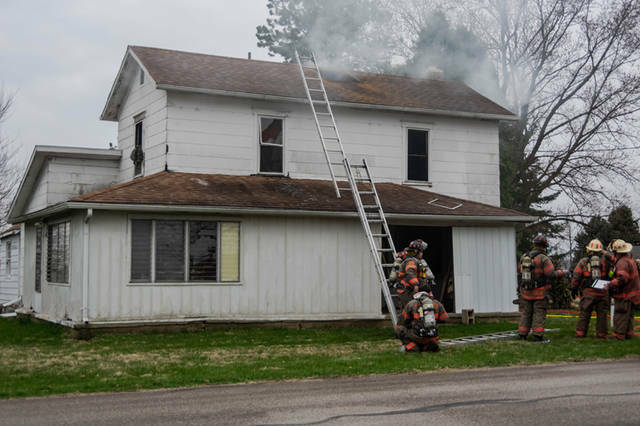 At approximately 6:35 p.m., fire and rescue crews from Gettysburg and Bradford dire departments along with Arcanum Rescue and multiple mutual aid companies were dispatched to 7787 Miller Road in regards to a working structure fire. 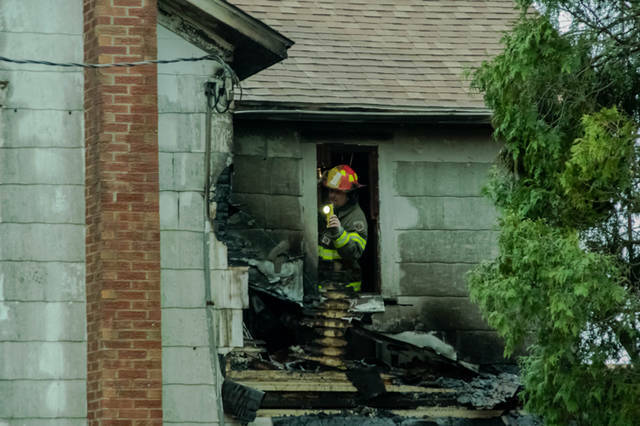 Arriving crews reported smoke and flames coming from the rear of the residence as they started an interior attack on the blaze and called for a second alarm. Resident of the property, 78-year-old Leon Howard, had just returned home from a care facility earlier in the day where he was recovering from open-heart surgery. Neighbor and good Samaritan Cathy Baldwin, who noticed the home on fire, rushed to help Howard. 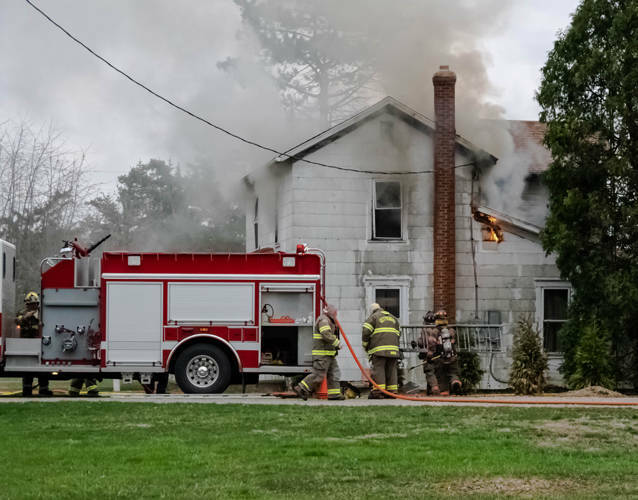 According to Gettysburg Rural Fire Department Assistant Chief Jeff Unger, the fire is thought to have started in the rear of the residence as a result of the use of a wood burning stove. 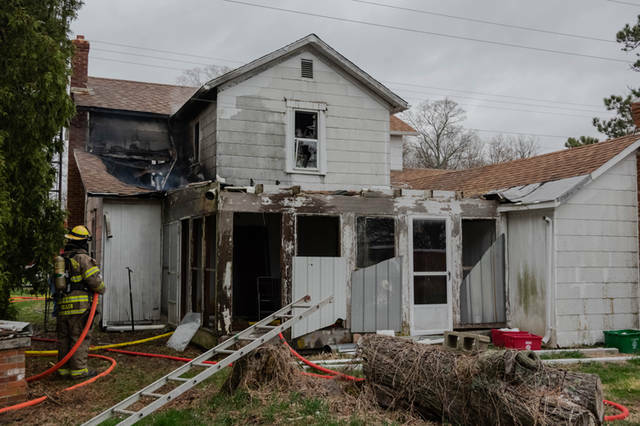 Howard, who thinks he lost almost everything he owned to the fire, denied assistance from the American Red Cross, adding that he has family who he believes will take him in. This entry was tagged Arcanum Rescue, Bradford Fire Department, fire, gettysburg, Gettysburg Fire Department, Gettysburg Rural Fire Department. Bookmark the permalink.